Check your TX charger socket polarity before using charger adapters. 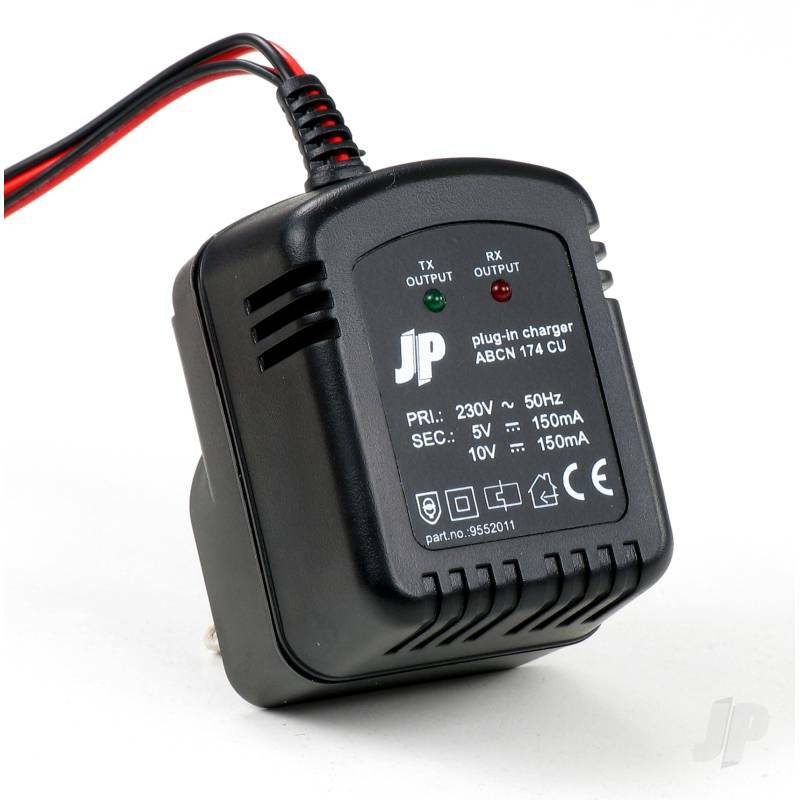 Compact transmitter/receiver mains charger featuring protection against short circuit and incorrect polarity connection. Suitable for RX NiMh packs 4.8V (4 cells) and TX NiMh packs 9.6V (8 cells 450-900mAh).